Since 2015, I am the lead developer for glue, a package for multi-disciplinary and multidimensional data visualization and exploration. The main feature of glue is the ability to make linked selections between viewers and link together different datasets. Glue is being used for astronomy, medical science, remote sensing data, and data science. I am one of the three co-ordinators and one of the lead developers for the Astropy project, which aims to develop a core Python package for Astronomy, and to foster inter-operability between Python Astronomy packages. Astropy has already had a couple of major releases, and development is very active. During my Research, I developed a large Monte-Carlo Radiative Transfer code, Hyperion, which is written partially in Python, and partially in Fortran 2003 (using MPI for parallelization). IDLSave, a package to read 'save' files produced from the Interactive Data Language (IDL) into Python. This has since been incorporated into SciPy (as scipy.io.idl). PyAVM, a package to parse and embed Astronomy Visualization Metadata (AVM) metadata from and into Astronomical images. 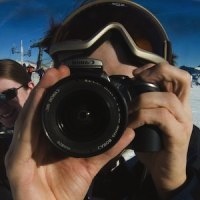 montage-wrapper, a package to faciliate running the Montage Astronomical Image Mosaic Engine from Python. sedfitter, a package to fit spectral energy distributions (SEDs) to observations. This was developed as part of my work on modeling observations from forming stars. psrecord, a command-line utility to log the CPU and memory usage of a task more easily. I am also a co-developer of astrodendro, a package to decompose structures in Astronomical images into hiearchical trees. A full list of projects is available from my GitHub profile.